Would a girl lose her mind playing this game about cousins who are two of a kind? Probably not, but she might have fun. Game Box: Cute, with its pink-and-blue color scheme and floating Patty and Cathy heads. 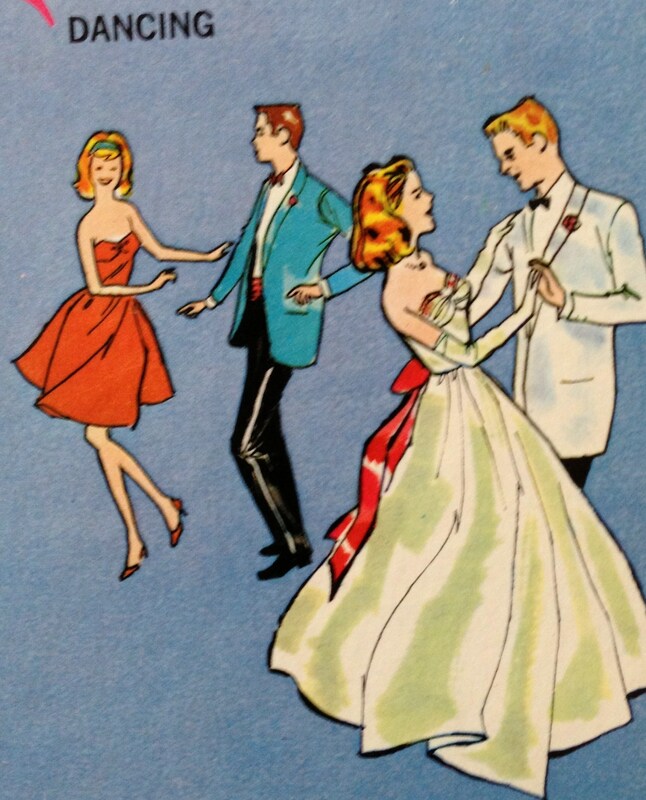 Game Pieces: Instead of regular plastic pieces, this game uses red, blue, yellow, and green teenagers, two girls and two boys. Nice! 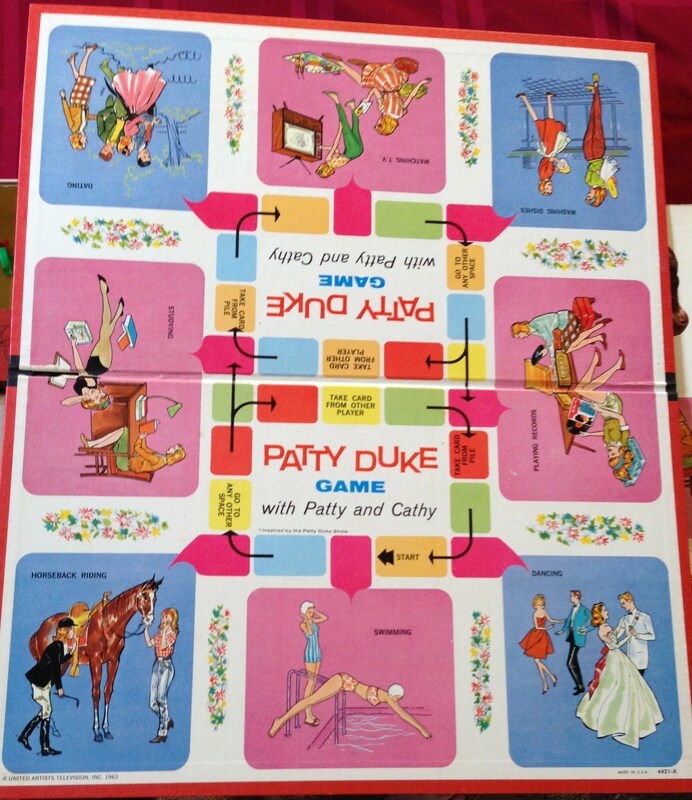 Game Board: Like the game box, the board features cartoon pictures of Patty and Cathy doing typical 1960s teenage activities—dancing, watching TV, dating, studying, helping with chores. 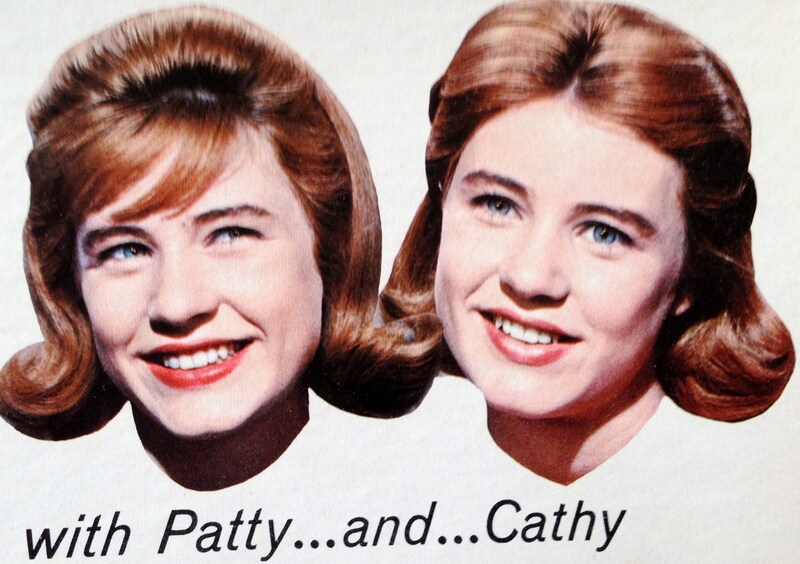 Can you tell which girl is Patty and which one is Cathy? In case you forgot, their personalities are ever-so-slightly different. Cathy hesitates. 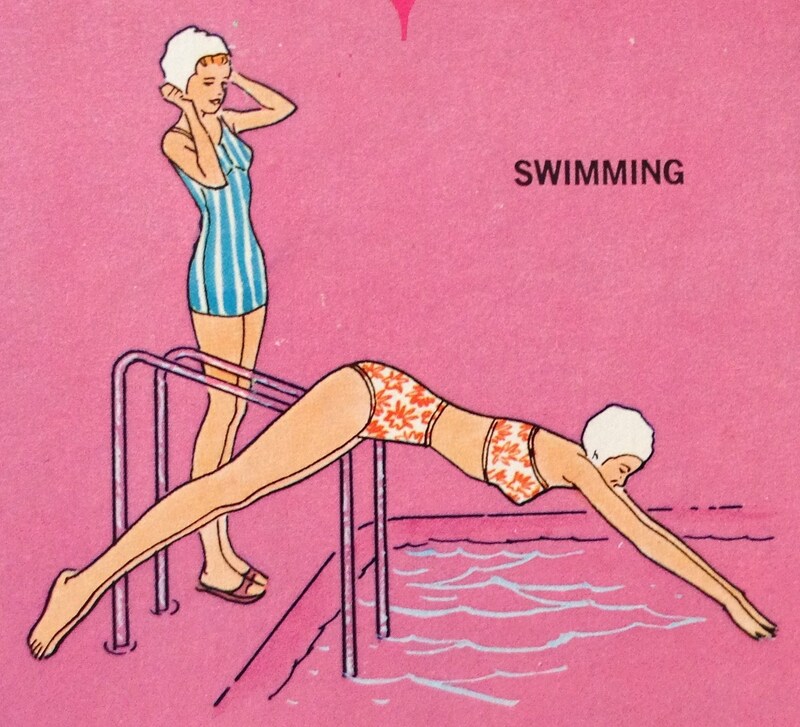 Patty wears a two-piece swimsuit and dives right in. Cathy is actually studying. 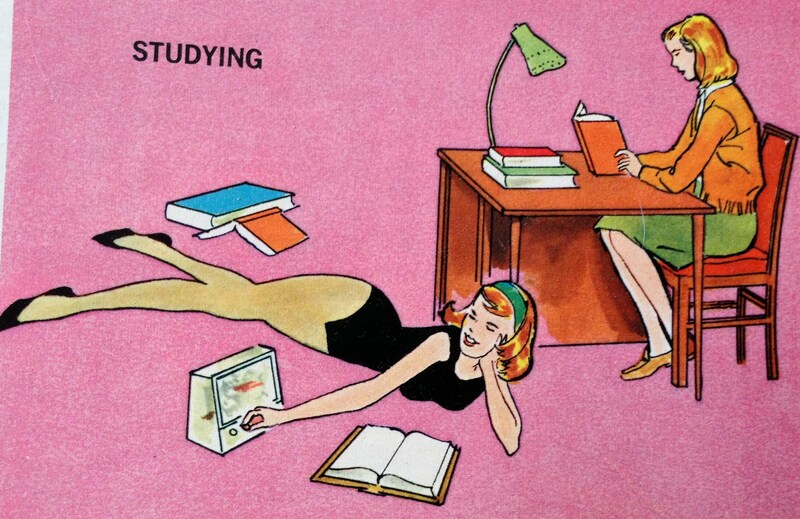 The radio is distracting Patty (who is wearing a leotard for no apparent reason). If you enjoyed this entry, please read my previous Spin Again Sunday posts. 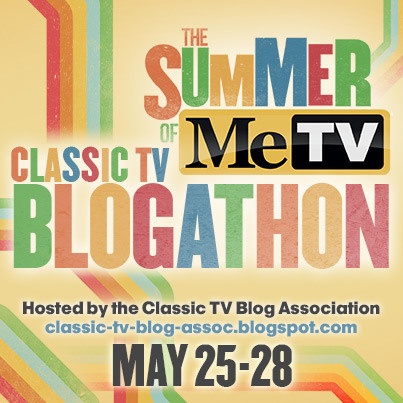 This entry was posted in Spin Again Sunday, Television, Toys and tagged 1960s, Board Games, Classic Television, Games, Nostalgia, Patty Duke, Patty Duke Show, Television, Toys, Vintage Toys. This is hilarious! I’m heading straight to your other Spin Again posts.